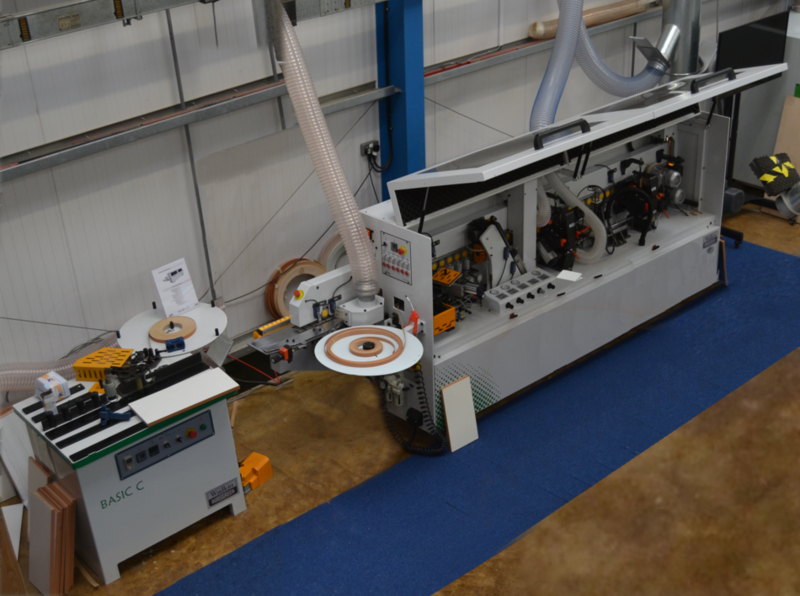 As well as their own Wadkin Bursgreen machines they also had on display a Masterwood cnc machining centre, Rojek heavy duty machines and ancillary products including tooling, adhesives etc. At times the demand was such that potential customers had to avail themselves of the hospitality whilst waiting for their demonstrations. Space was at a premium and, although the premises were purpose designed and built, AMS are now planning an extension to both the offices and factory space to cope with Training demand, machinery rebuilds, spares, servicing and tooling. The company has grown in its 10 years of operating to a 28 strong staff and five apprentices. Currently the apprentices are working on the rebuilding of a planer moulder under the watchful eye of South Leicester College. The company introduced a new automatic table saw, and two edgebanders from their recently introduced range, the Compacta 4TR with corner trimming and at the lower end a Basic C Edge model..